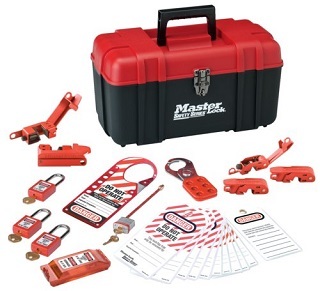 Master Lock Safety Solutions for Lockout Tagout Products. 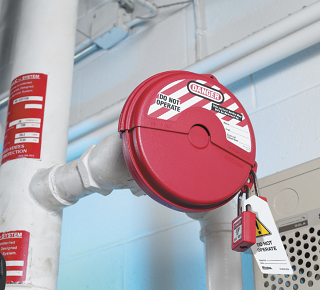 Lockout/Tagout is the process of controlling hazardous energy during the service and maintenance of machinery or equipment. 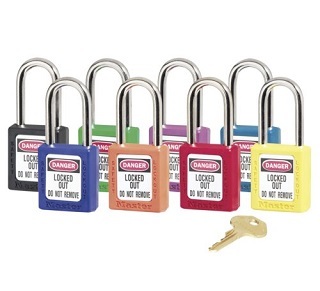 It involves the placement of a lockout padlock, devices and tag on an energy-isolating device, ensuring that the equipment being controlled cannot be operated until the lockout device is removed. 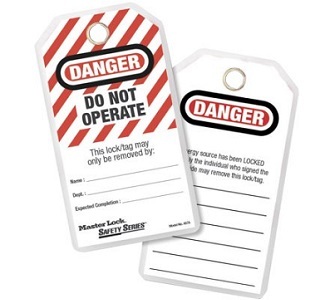 Why implement a lockout-Tagout procedure? 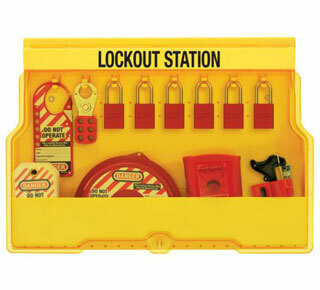 Using its knowledge and expertise, Safety Science recommends a 7-step process to effectively lockout equipment. 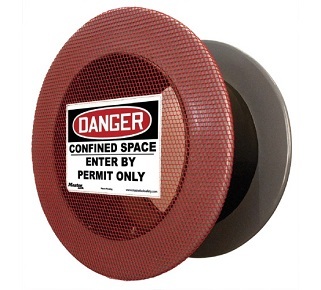 The authorized person communicates the necessary information to notify affected persons. If the system is operating it should be shutdown in its normal manner. 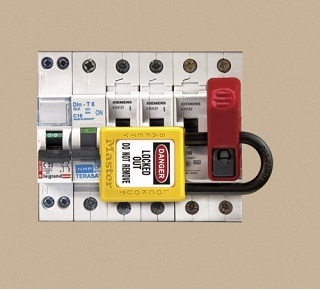 Isolate the energy with a lockout device and ensure complete blockage for the duration of the maintenance operation to prevent any possibility of reactivating the fl ow of energy. 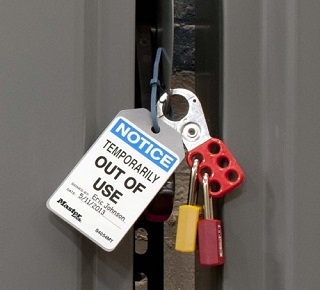 Identify any stored energy in rams, fl ywheels, springs, pneumatic, or hydraulic systems and make sure it is dissiped. 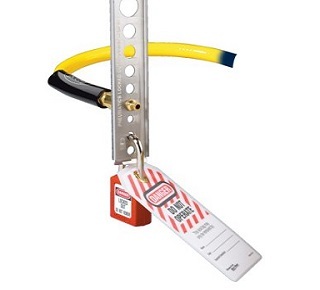 Verify that the system is properly locked out before beginning any work.